We are enjoying the autumn colour here at the botanic gardens but the leaves are now falling thick and fast. We do not want to miss out on this precious resource and are collecting the leaves to make our own leaf mould. It is simple to do. Just rake up your leaves as they fall and heap them up. You will need something to contain them and stop them blowing all over your garden again. 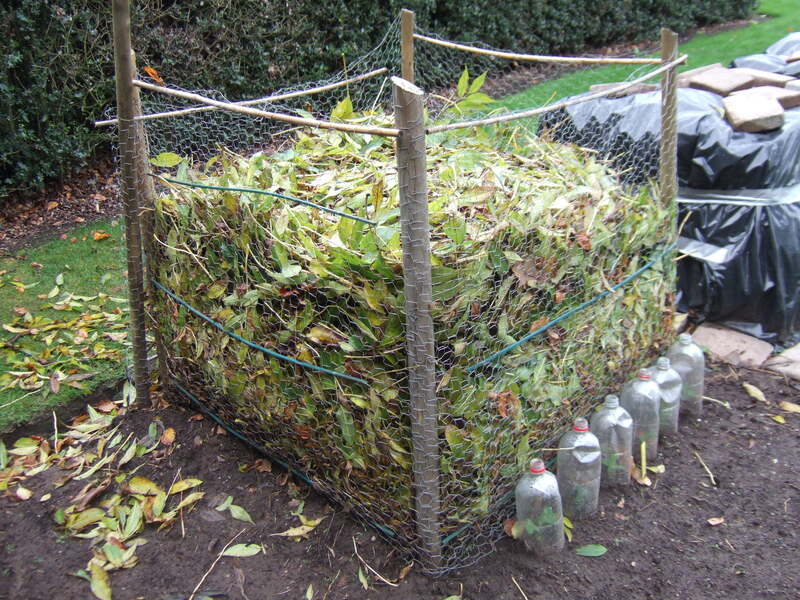 A cage made out of chicken wire and stakes is ideal or stuff the leaves into black plastic bags. The only thing you need to do is to keep the leaves moist. Do not add large quantities of leaves to your usual compost heap as they break down very slowly (especially beech and oak leaves), this will disrupt the composting process. Leaves usually take about two years to breakdown. 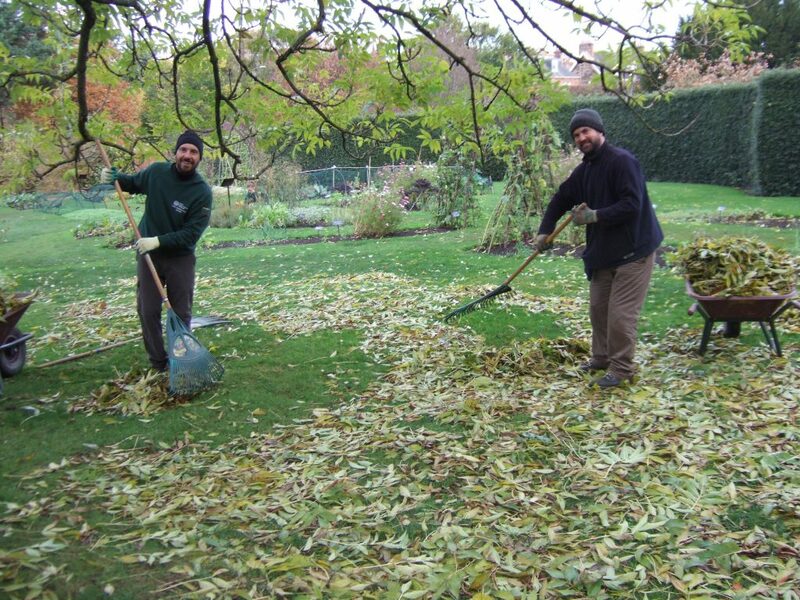 The leaf mould is ready to use when it looks dark brown and crumbly with no trace of the original leaves left. Mulch – Leaf mould can be spread over your beds and borders to help improve the soil, conserve moisture and supress weeds. Because it is more acidic than compost we use leaf mould to mulch around our acid soil loving blueberries and cranberries. Potting compost – Leaf mould is an excellent addition to homemade potting compost. It has a nice open and water retentive structure that shouldn’t contain any weed seeds. Therefore it can be mixed with you usual garden compost to make a potting mix. Topdressing for lawns – In the autumn spread a 1cm layer of sieved leafmould over your lawn. Massage it into the turf using a stiff brush. This will help to improve the soil structure helping it to retain moisture and improve drainage.